At least 13 members of Colombia's largest rebel group, the Farc, have been killed in an air strike, the Colombian military says. The air force bombarded a rebel camp in north-western Antioquia province on Monday and has since found 13 bodies. The military has been continuing its attacks on the left-wing rebels at the same time as the government is engaging them in peace talks in Cuba. The next session is scheduled in two weeks time. The Farc called a temporary unilateral truce at the start of the peace talks and urged the Colombian government to do the same. But Defence Minister Juan Carlos Pinzon called the truce "incoherent" and said there would be no let-up in operations against the Farc. Air Force officials said Monday's air strike near the town of Chigorodo had seriously weakened the 5th Division of the Farc. 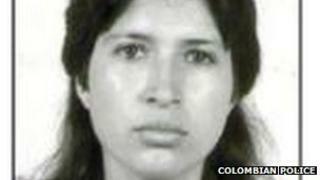 They said that among those injured in the attack was a rebel known as Mayerly, who is wanted on suspicion of involvement in the 2009 killing of 19 soldiers in Antioquia. In its heyday in 2001, the Farc had some 16,000 fighters, but military operations and desertions have halved their number. Colombian President Juan Manuel Santos has set a deadline of November 2013 for an agreement to be reached with the rebel group. He said the peace process had to be a matter of months, not years. The last peace talks broke down in 2002 after the government accused the rebels of using a demilitarised zone they were granted as part of the negotiations to regroup and retrain.